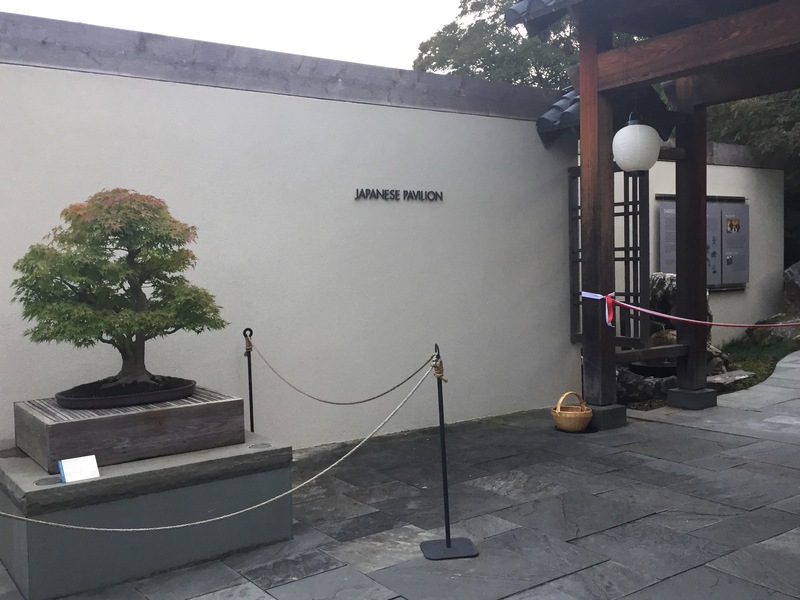 It was a unique honor and a priveledge to be able to attend a very special event at the National Bonsai & Penjing Museum in Washington D.C. yesterday. 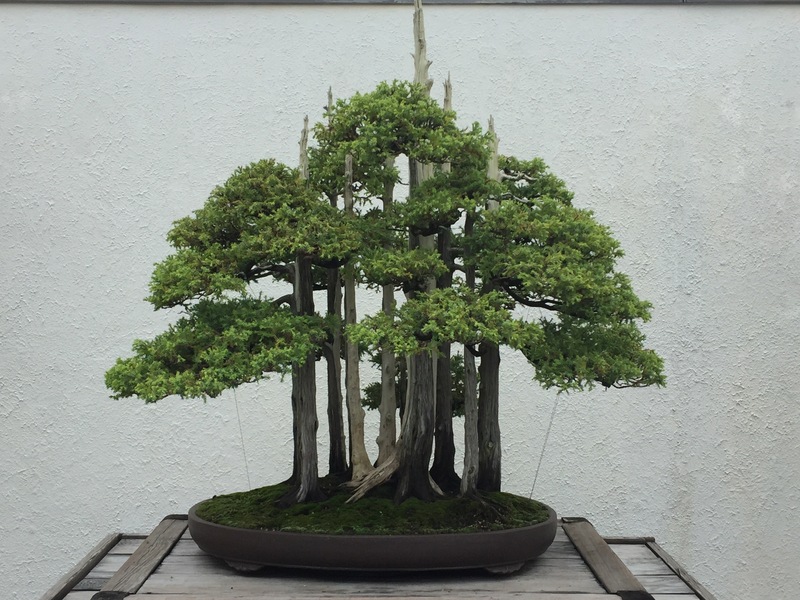 Over forty years have passed since 53 Bonsai trees were gifted to the United States from Japan. 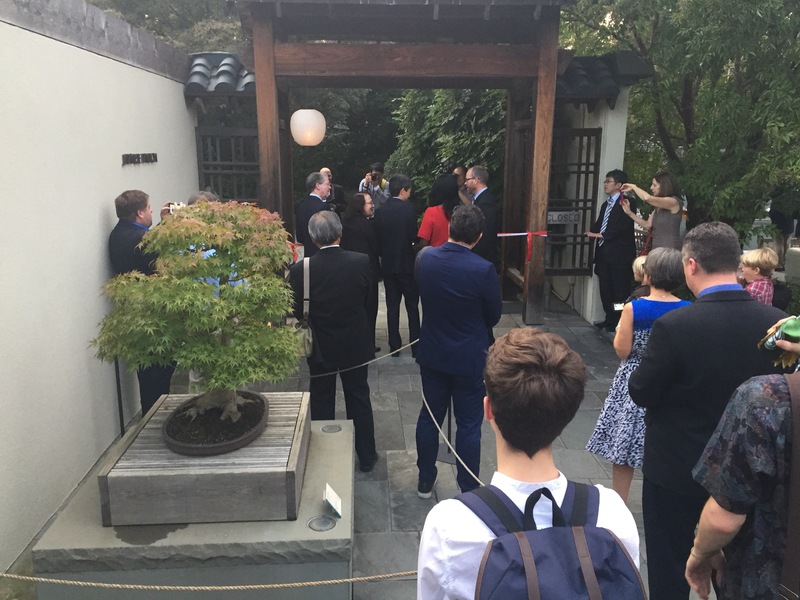 The original Japanese Bonsai Pavilion — the first part of what has become the National Bonsai & Penjing Museum — was dedicated in 1976 to hold this collection, and good fortune brought me the opportunity to be there for the reopening ceremonies that revealed the gorgeous and much needed renovation of the Japanese Pavilion. 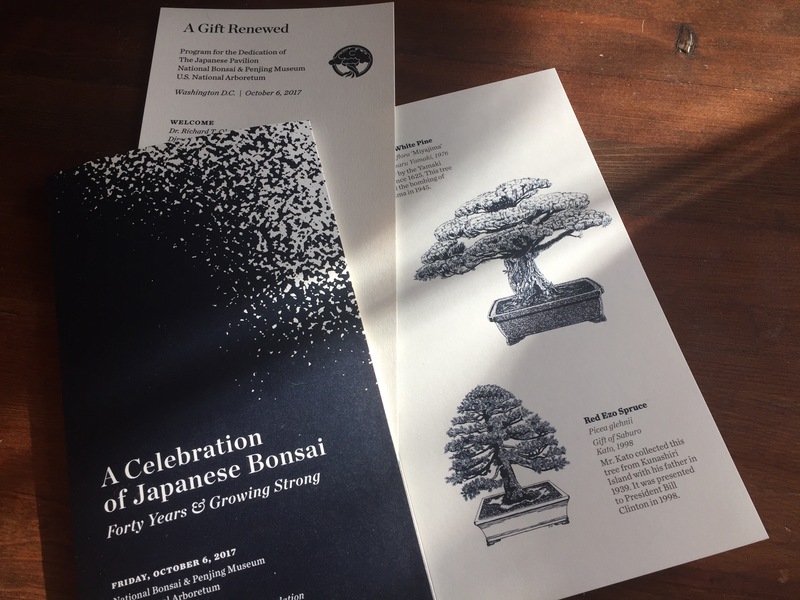 An impressive guest list included a number of Japanese ambassadors and guests such as Mrs. Naemi Iwasaki who is the current chair of the Nippon Bonsai Association, the same organization that arranged the original gift of Bonsai over 40 years ago. 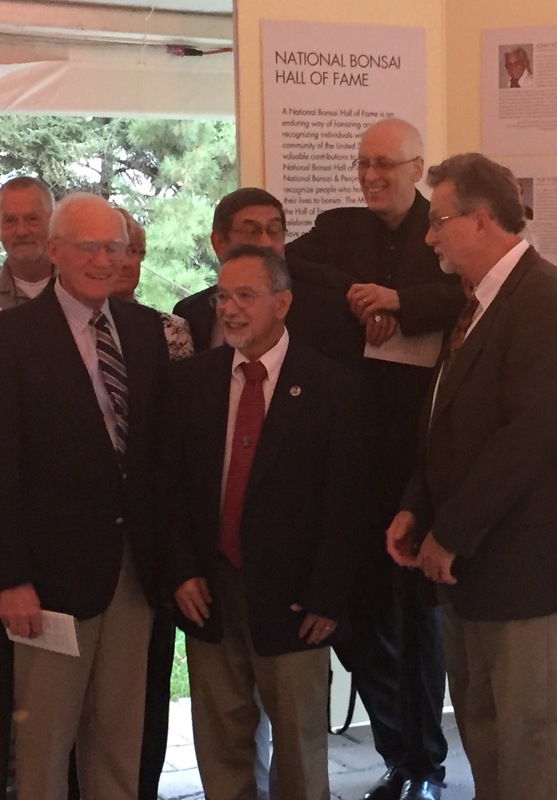 There were also a number of influential American Bonsai experts in the crowd including Bill Valvanis who, as part of this event, was recognized for his contributions by receiving the Bonsai Hall of Fame Award. After a brief program, we moved down to the Pavilion for the ribbon cutting, and got to take a look around. I am extremely grateful to have been permitted to participate in this wonderful event and see the Pavilion with so many others just as it reopened. I know I will go back often, and you should too! My photos will never do it justice, and you just won’t appreciate it until you are there in person. A famous Japanese White Pine greets you as the first Bonsai inside the Pavilion. This is the tree that was cared for by the Yamaki Family since 1625 and survived the bombing of Hiroshima in 1945. If you have been to the museum over the last couple of years while the Japanese Pavilion was being renovated, you have seen this tree out in the main courtyard. Seeing it on its new display stand, at the perfect height for this tree, is a picture worth seeing for yourself! I hope you get there to see it soon. 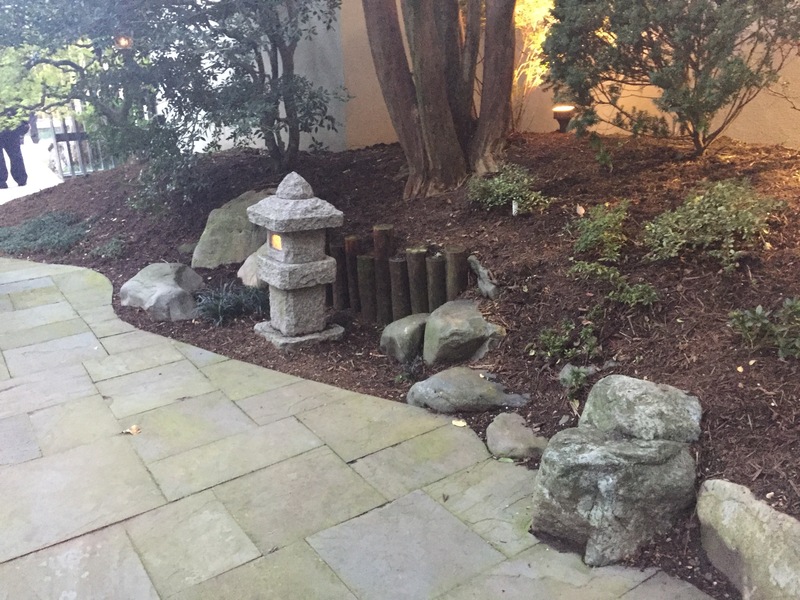 I spent a good chunk of the past weekend at a bonsai festival but haven’t written about it. I hate to think I have disappointed all three of my loyal followers. First and foremost, the setting was stellar. 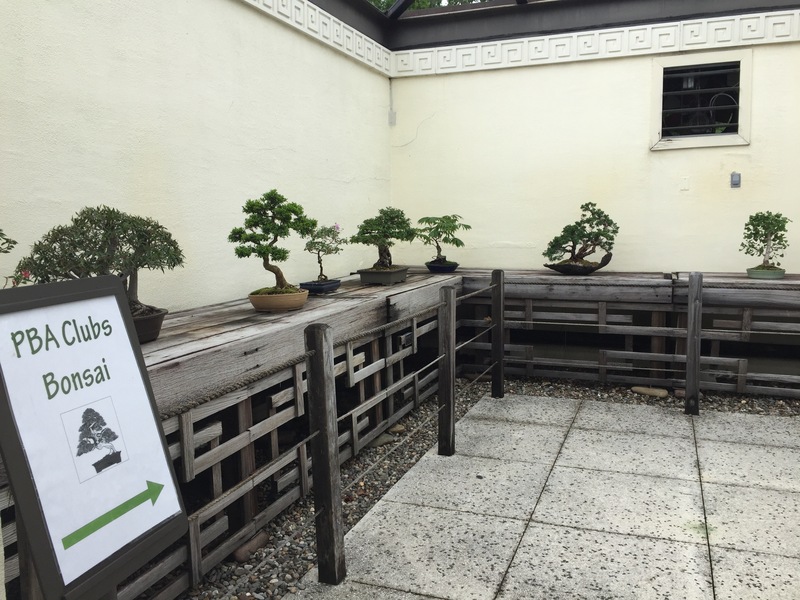 We were at the National Bonsai and Penjing Museum at the National Arboretum in Washington DC. We were literally in the shadow of great trees, including Goshin, above, which is claimed to be the most famous bonsai in the world. 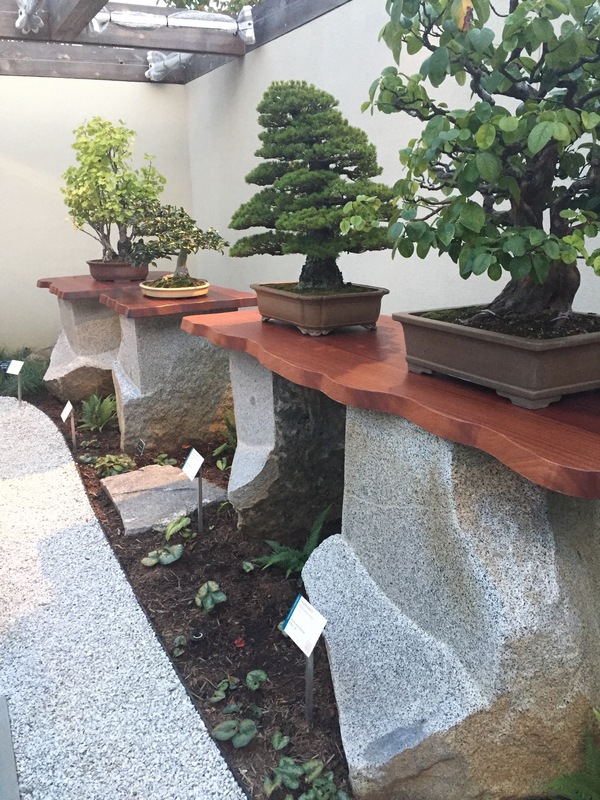 Here are a couple shots of the Potomac Bonsai Association trees displayed in the China Pavillion. A nice showing. We also had a formal display challenge (apologies, no photos), a great bunch of vendors, and much more. Thanks to all those who worked so hard to make it all happen, including dozens of volunteers. This is an event to look forward to each year!